Lesson in Online Marketing: Grab Your Audience in Record Time – We posted in the MLM Rebels public Facebook group this week (you can join here) about how I lowered our personal ad costs down by almost 80%. How? By writing 10-15 new ads in a few day span and releasing them into the wild. In fact, I’ve got another 60-90 to write still. Why in the world would I write so many? And how? You’ll probably end up with a winner. Don’t get me wrong, an expertly written ad will generally beat out any thrown together one and it’ll have a MUCH longer life, but with this approach, you can zero in on the approach you should take with the audience that responds to you in record time. No time in history has allowed this amount of testing at this low of a cost. Join the public (free) Facebook group to get the skinny. Since it’s a closed track environment and by “racing standards” I’m a novice, there won’t be any 200mph passes going on. In fact, no passing will be going on. But this two day course is the stepping stone into receiving a motorcycle racing license. Which in the married (can’t die before the kids are born) world many of us live in, this is the best way to get a speed fix, because I guess doing 130mph wheelies on the highway doesn’t always sit well with the family. Oh and track prepping in Malaysia, is about 1/10th the cost of the U.S.
Book I’m Reading: The Robert Collier Letter Book – I’ve been re-identifying my biggest, most leverage-able skills in our business and in life. As well as my biggest passions. I think it’s important to continually revisit these things as they change. And if they don’t change, sometimes we forget why we’re doing what we’re doing. The excited emotions we had when we made our decision to pursue our calling have long since worn off and have been replaced by day to day stress and we forget that we’re actually doing what we love. When it happens, I try to get back to basics and write down my goals and make sure my path links up to those goals. During my most recent visit to the depths of Zach’s brain, I “re” discovered how much I love copywriting. Of all the things in our business… sitting down with nothing to do besides write a sales letter makes my heart sing. Anyway, this book brings me back to the roots of this love. If you haven’t read it and enjoy copy. 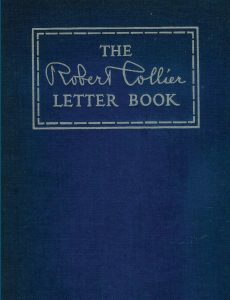 Pick it up and get ready to read about the most successful letters of the early 1900’s.